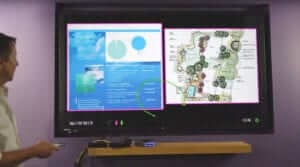 You definitely want the inside scoop on these upcoming products, both of which we first showed at InfoComm last month. If being able to use your smartphone as an annotation device sounds interesting, then this update is for you. Mersive joins Logitech’s Collaboration Program to offer an integrated solution for wireless content sharing and video conferencing. Click here to read more. We are honored to have won another award. 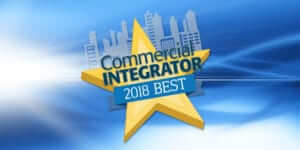 The Commercial Integrator 2018 BEST Awards highlight the most impressive commercial tech & AV products of the year. Solstice won the Collaborations category. Click here to read more. 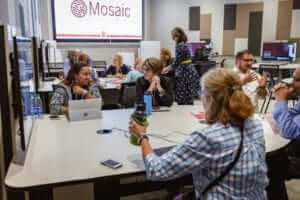 Through the Mosaic Initiative, IU has taken leadership in this growing movement to support active learning and build active-learning classrooms. There are more than 60 Mosaic classrooms. In the ones serving as lecture halls, students can easily share content via their mobile devices to the large projectors in the front of the classroom using Mersive Solstice. Click here to read the article.